From the rocky cliffs of Big Sur, to the sandy beaches in Pismo Beach, from the rolling green hills of San Luis Obispo, to the bountiful country-side of Paso Robles, our little corner of California offers a more diverse landscape than most states are lucky enough to enjoy. Along with the varied terrain comes a vast array of options for outdoor adventures and activities. Whether you're a thrill seeker who lives on the edge or someone who'd rather admire the beauty of Paso Robles with a wine glass in hand, we encourage you to get outside and bask in the wonder of California's Central Coast. Get a sneak peek of our favorite Adventures on the Central Coast from Martin Resorts on Vimeo below. Nothing's hotter than a summer day in Paso Robles. Fortunately, there are many ways to cool down--and have fun at the same time here on the Central Coast. Apart from our on-property pool, there are several locations just a short drive from the Paso Robles Inn where you and your loved ones can swim, splash, and play all day. Whether you're into hiking, biking, running, or horseback riding, the Central Coast boasts a plethora of scenic trails that wind up, down, and all around the coast. The many different vantage points and lookout spots from the top of these vistas and hills provide the most incredible views, so head to one of these popular trails for a free, outdoor adventure in San Luis Obispo County. 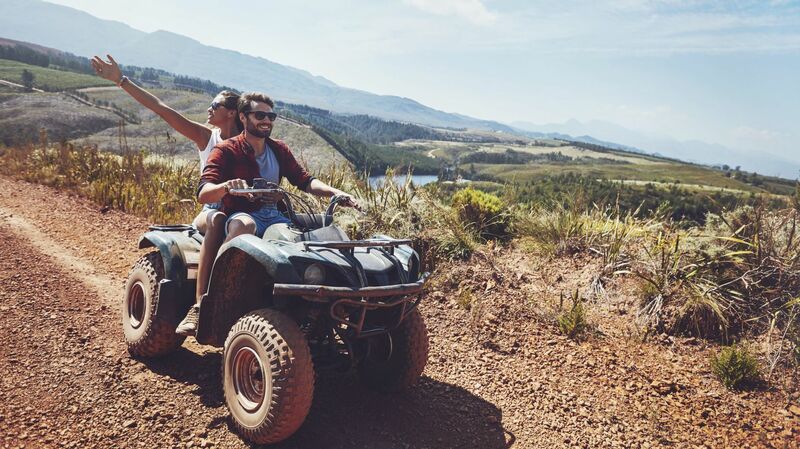 If the only thing that gets your heart racing is an adrenaline rush, these activities may be exactly what you're looking for. Whether you love wind rushing through your hair as you skydive over beautiful Pismo Beach, dodging Paintballs in Paso Robles, or taking your 4-Wheeler out on the dunes, the Central Coast offers plenty of outdoor activities that aren't for the faint of heart. The grass is always greener on the Central Coast! Spend the day practicing on the putting green, perfecting your swing, or just soaking up the sun! Whatever San Luis Obispo golf course you choose, it's sure to be a hole-in-one! Explore some of our favorite courses below. Located roughly 30 minutes from the coast, it would be a shame not to explore the beauty of the Pacific Ocean during your stay at the Paso Robles Inn. With more than 300 days of sunshine and gentle year-round weather, San Luis Obispo County has some of the best beaches in the entire country. Explore Avila Beach, Pismo Beach, Cayucos, or Cambria and enjoy some of our favorite coastal activities for a vacation you'll never forget.